Ok so the goal here was to learn to make a skirt using an actual pattern...and needless to say that did not happen! A few weeks ago this really awesome company, Kollabora, asked me if I would like make fun diy projects with their products and they would sponsor me by sending me fun goodies to make! Awesome! We were talking about what might be a good project to start on...and I mentioned how I would love to work on my sewing skills, maybe make a skirt. The idea turned into a reality, I got a box in the mail with some really lovely fabric and a pattern to make a skirt. I opened the pattern and starred at that thing...blue prints for a skirt, I was lost and confused. I read through the steps for that pattern at least 10 times! Make a notch here, add a notch there, stitch this and that...and finally the other night I sat down on the floor, carefully pinned my "practice" fabric to the patterns (not wanting to mess up the pretty fabric they sent me), cut and started sewing away. This took me forever, not to mention frustration, and a sewn pile of fabric...it was a mess, and a fail! Then it came to me, I don't need a pattern, or hours of time to make a simple skirt. Simple and easy is more my style. So I took a chance on an idea I had. 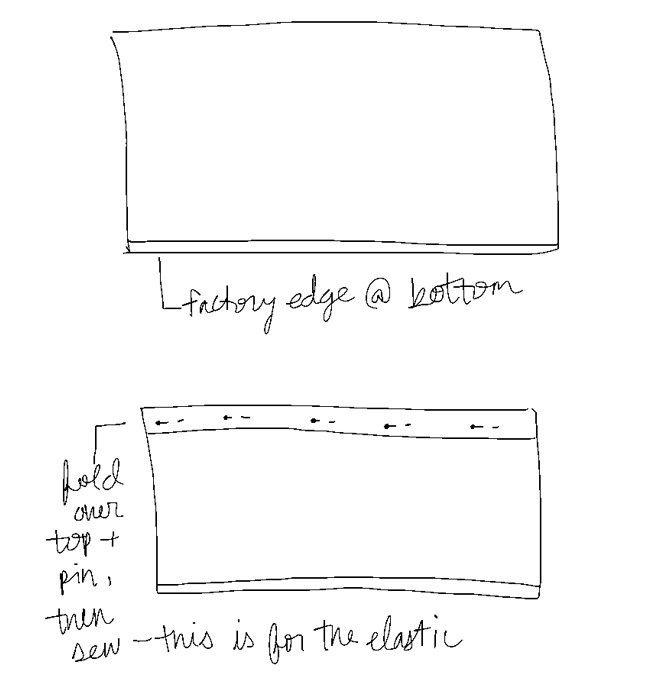 I made a quick sketch on the ipad (using that fun bamboo app I love) and after I was convinced my idea would work, I cut into the pretty lace fabric. 3. 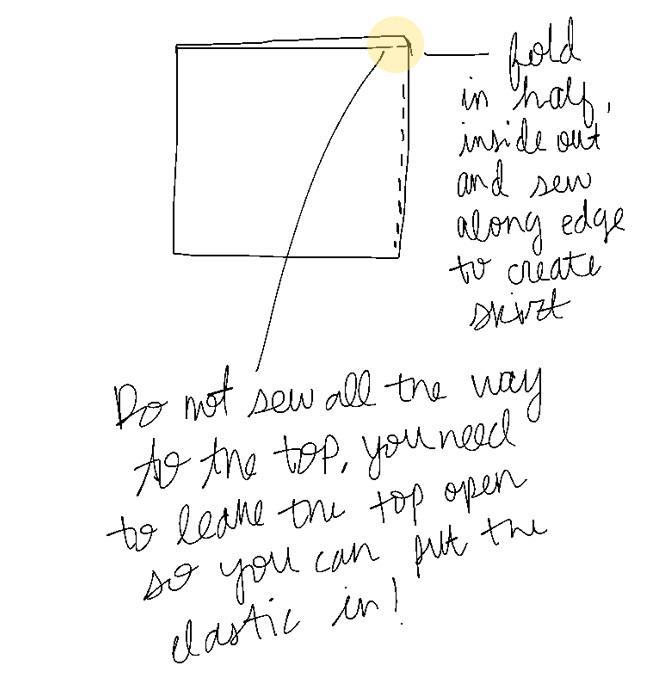 Fold skirt in half, sew edge together (leave the top space open, where you created the fold over for the elastic. 5. 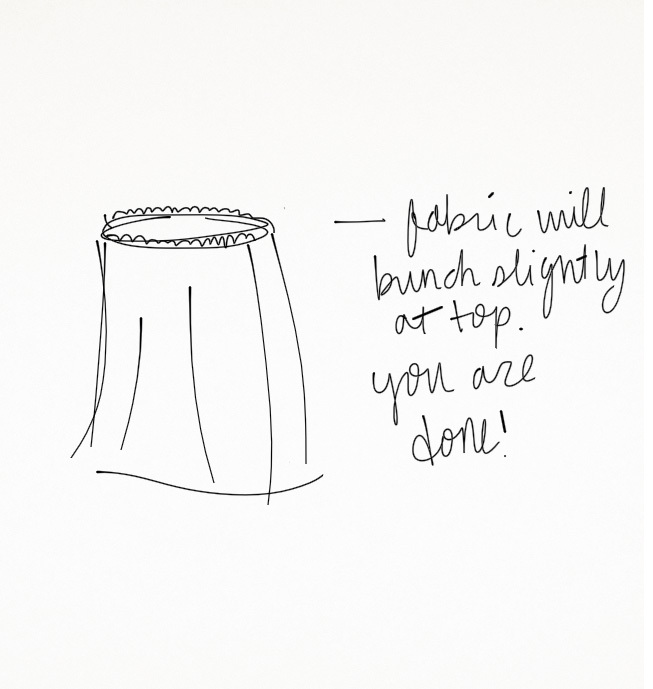 Cut elastic to fit your waist, slightly smaller than your waist so the skirt will be tight enough to stay on! 6. 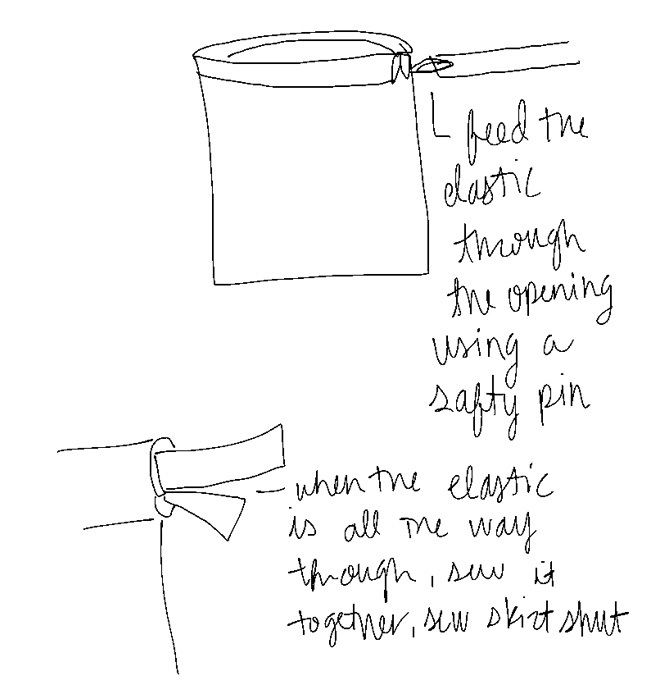 Put safety pin on elastic, then thread it through the opening at the top by scrunching the fabric and holding the safety pin...do this until the elastic is all the way through. 7. With both ends of the elastic sticking out of the skirt, sew them together, and sew the opening shut as well. 8. 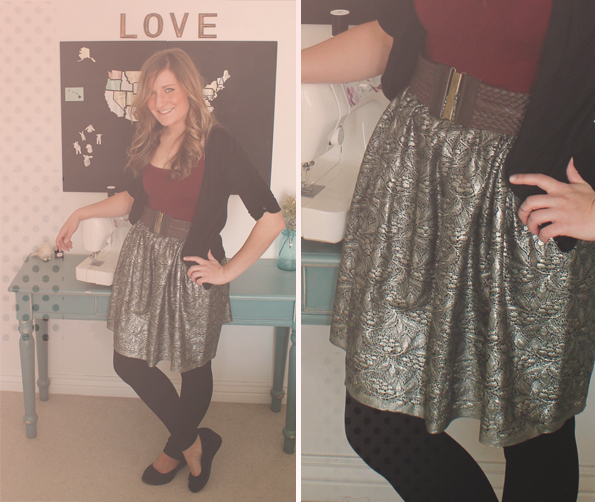 Wear the skirt and add your favorite belt! So easy! 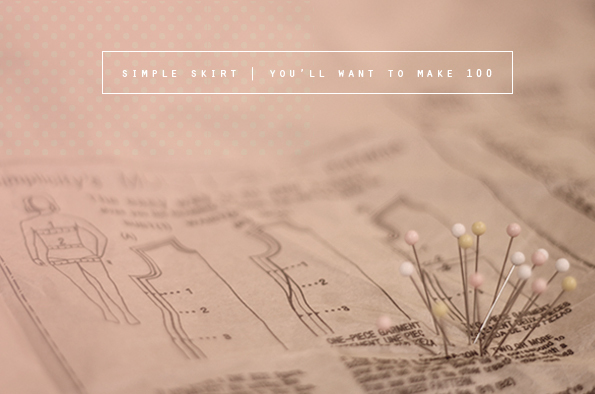 This really is the easiest way to make a skirt. Another great way is to cut it so it flairs out on the bottom, and hten you have an easy a-line. :) it's a great method!